For better or for worse . . . I don’t know if that is still a part of wedding vows these days, but I do know it was a part of mine. 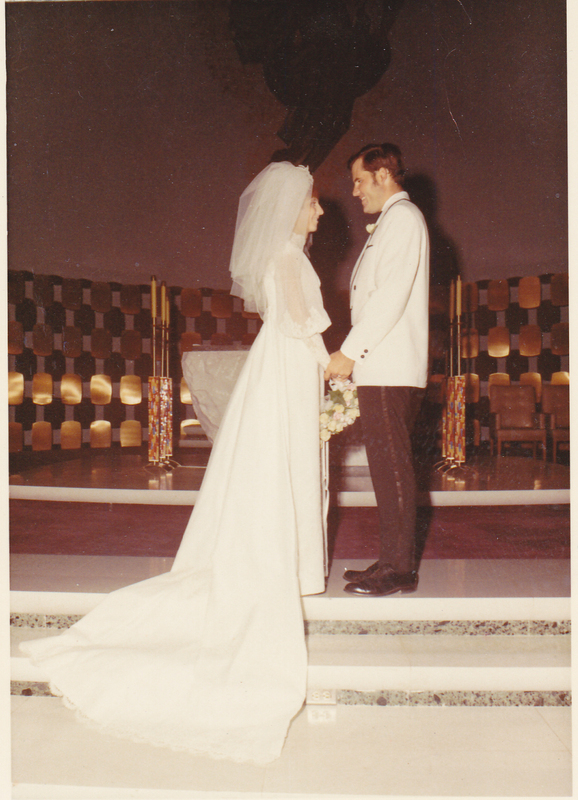 During nearly forty-five years of marriage, that promise has been tested many times. But never has it been more challenging to live up to those words than it is now. For better–We are both retired which means we have lots of time to spend together. We both enjoy excellent physical health which allows us to go on ten-mile hikes to the tops of mountains or twenty-mile bike rides. We have time to do all the things we’ve always wanted to do. Having raised a child with Down syndrome and devoted thirty years to teaching special education, I was sure that I had all the patience and skills needed to get Craig through this. Like any good special education teacher, I came up with strategies to help him cope with his limitations. After all, I had spent most of my adult life helping people see the light at the end of the tunnel. It took me a long time to realize that Craig is going down a tunnel that does not have a light at the end of it. Craig’s neurologist keeps reminding me that Craig sees the world differently. I know I can never see the world the way he does, but I do think I’m beginning to understand his world a little better. Last Friday afternoon, Craig was roaming around our property, seeming a little restless. I handed him the keys to my car and suggested that he get the mail. He isn’t supposed to drive, but driving a few feet down our dirt road seemed harmless. I kept watching out the window for him to return, but he didn’t. Concerned, I jumped in the truck and drove around looking for him. When I couldn’t find him, I returned home and dialed 911. As I was talking to the operator, it occurred to me that I knew where Craig had gone. He had received a reminder card from the dentist for an appointment later in June. I had shown him that it was already marked on the calendar, but he carried that card around all day anyway. Dates and times don’t really mean anything to him. All he knew was that he was supposed to go to the dentist and I didn’t take him there. I told the 911 operator where I thought he might be and sure enough, that’s where he was. A very nice sheriff’s officer followed him home and talked to him patiently about not going off by himself and worrying his wife. On the bright side–For the first time in our married life, we can’t really plan for the future. But that allows us to live in the moment, making the most of each day. Craig follows me around, which can be annoying at times. Someone called him my parrot because he repeats everything I say. What wife wouldn’t want a husband who agrees with her every word. I’ve given up on the idea of a place for everything and everything in its place. Things go missing daily. Sometimes they reappear, but often they are never seen again. It’s amazing what you can learn to live without. The phone has been gone for a few days, but the good news is, I found the television remote while I was looking for the phone. Since June is Alzheimer’s and Brain Awareness month, I’m offering this with the hope that someone will find my words helpful. It is being published with Craig’s permission.